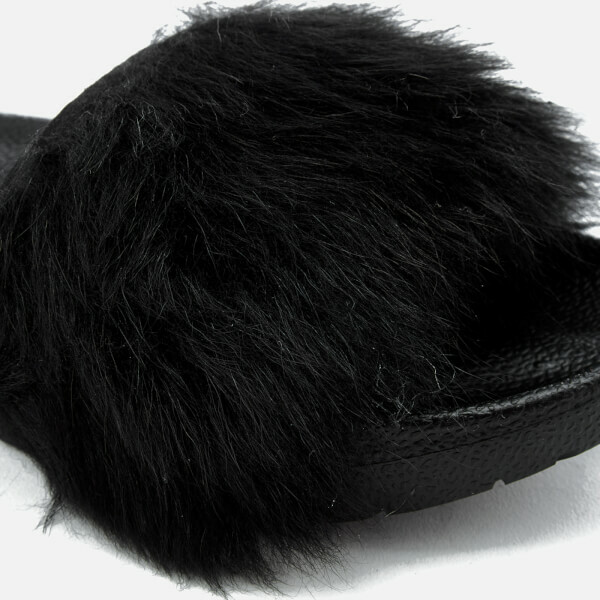 Women's fluffy sliders from UGG. 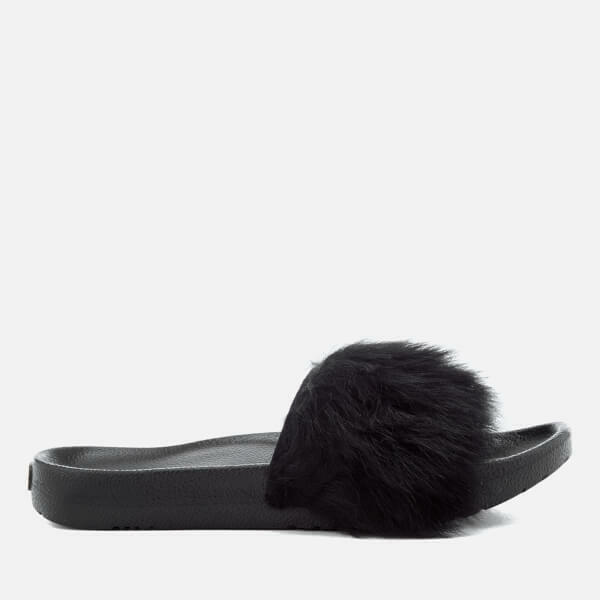 Designed with a contoured footbed for comfort, the 'Royale' slide sandals feature a plush sheepskin strap across the vamp, and are set upon a Treadlite by UGG™ outsole for comfort. Embossed branding to the heel. 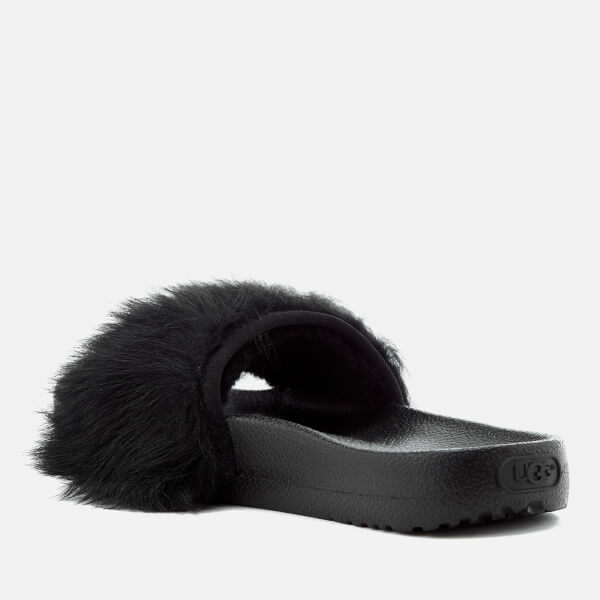 Upper: Sheepskin. 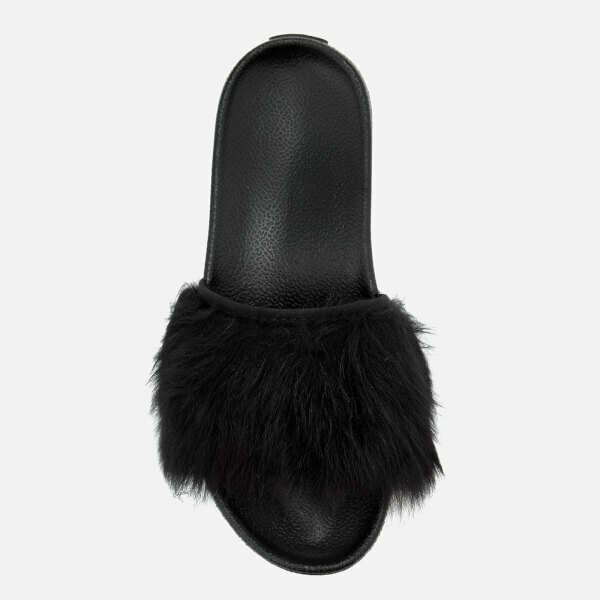 Insole/Outsole: Treadlite by UGG™.